The UCSC Library provides its service to the staff and students of the UCSC. There are more than 1,400 registered library members. The library hosts more than 10,000 books, a comprehensive collection of computer science books supported by the latest editions and books related to Statistics. 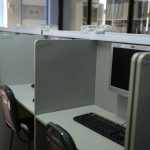 At the library, the members can refer books, journals, theses, dissertations and other resources such as magazines, newspapers and CDs, while accessing the internet in order to gather and update information. There is a high demand for the theses and dissertation collection of the library as many users are doing researches. 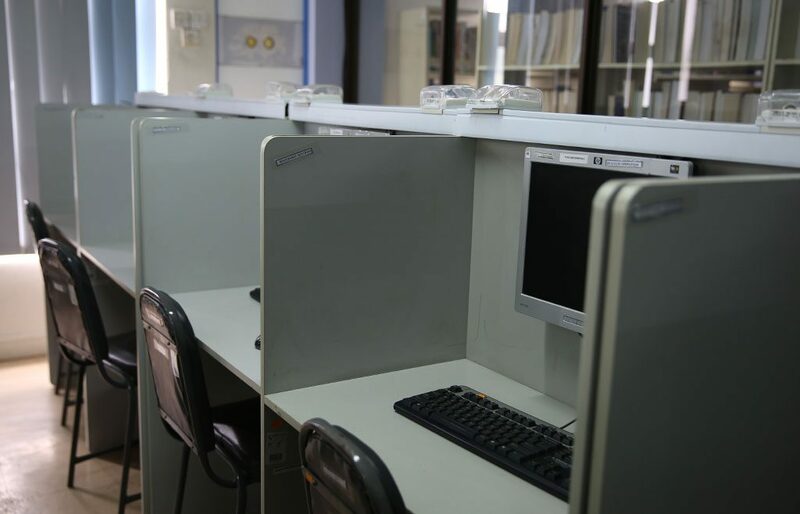 The library has a reference area with a seating capacity of 137 and it also provides an electronic catalogue. Monday to Friday 9.00 A.M. to 5.30 P.M. Weekends (Sat & Sundays) 9.00 A.M. to 5.30 P.M.
Seats of the Library should not be reserved by anyone. Readers are not allowed to do joint works in the reading areas. 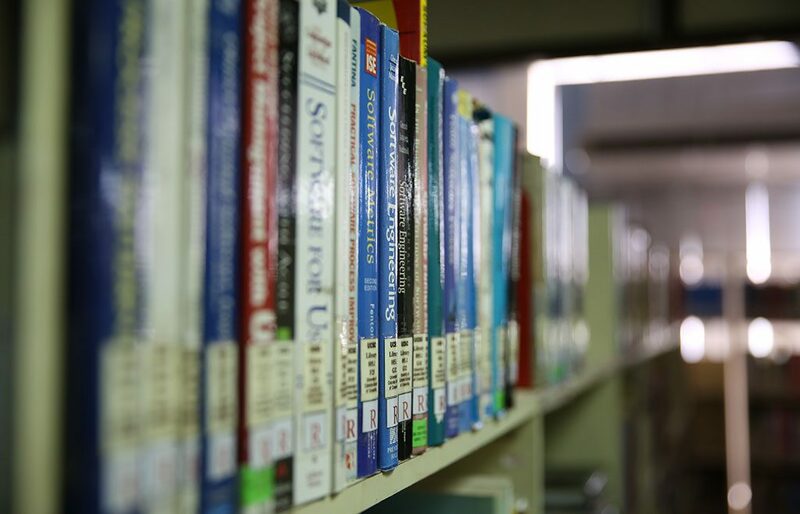 Readers are allowed to remove any book that they require from the shelves for their use within the Library area. 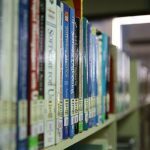 Readers are not permitted to replace any book on the shelves after using them but should hand them over to a member of the Library staff or leave them on the provided table. Readers are not allowed to use Mobile Phones in the library. 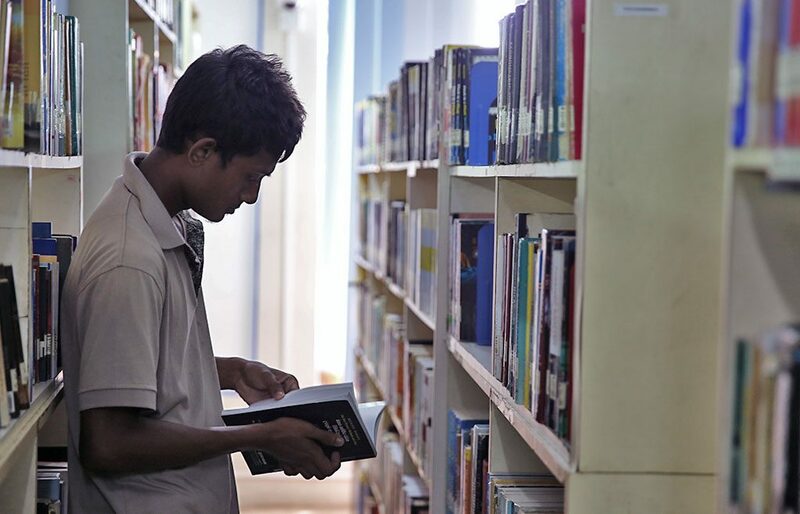 Bags, cases, personal books or any such belongings cannot be brought into the Library. Only blank papers and printed paper notes are allowed. Bottles of ink or ink wells should not be brought into the Library. The staff of the Library is empowered to examine books that readers carry with them when they are leaving the Library. The rules of the Library have made it obligatory that the user complies promptly. The right of using the Library is granted for the following readers under rules and procedures laid down elsewhere in this document. 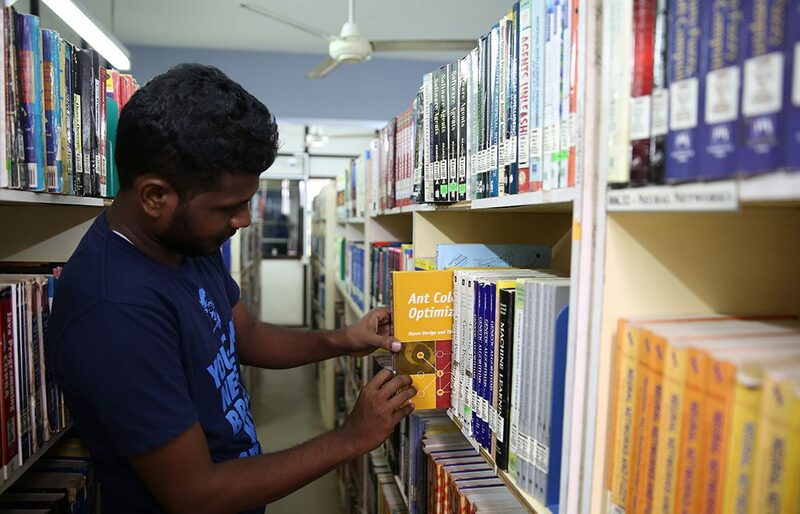 The staff of UCSC and DST of the University of Colombo, UCSC and DST students who are registered for Undergraduate courses, Masters Programmes conducted by the UCSC, Research Degree Programmes in Computer Science of the UCSC are eligible to use the UCSC library. 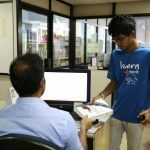 Library tickets for borrowing books are issued at the Library to the members on the dates set apart for the registration of members. Members are required to produce their UCSC/UOC Identity cards to the library to obtain their library membership. UCSC students can use their UCSC identity card as their library ticket. Marking and defacing books are strictly forbidden. The members should report any marks or damages already in the books to the issuing counter before borrowing it. In the absence of such notice, it will be presumed that the particular book was in good condition when it was borrowed, and the borrower will be responsible and fined for any damages/marks observed at the time when the book is returned. The borrower will be liable to pay the full cost of replacement of a book if it is damaged and any other fee that the UCSC considers as applicable. A loss of a book should be reported immediately to the Library. If the book is not found and returned prior to the due date, the borrower shall pay for its replacement, plus a fine of 25% of the cost as a penalty. The Board of management of the UCSC has decided to levy a fine from those who do not return the library books on due dates as follows. 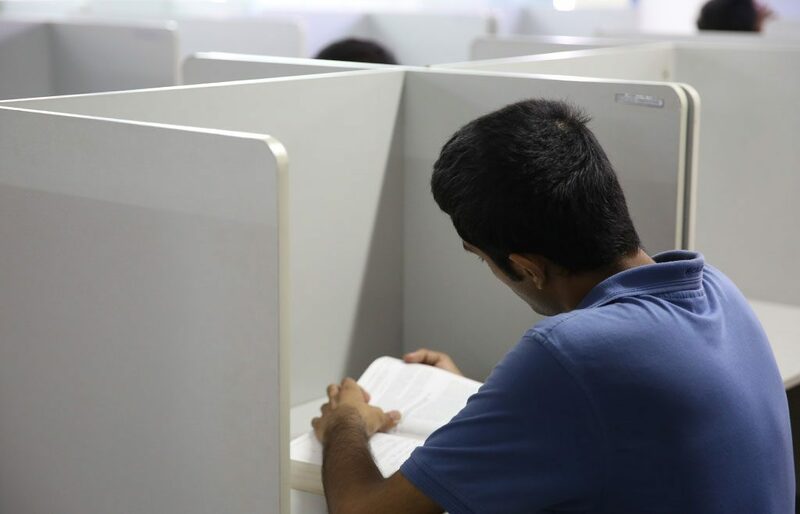 If a book is not returned to the library on the due date, the borrower would be required to pay Rs. 20/= for the 1st day and Rs. 1/= for each additional hour until he/she returns the book to the library. If a book is lost and subsequently found, the borrower would be required to pay the fine as specified above for the period from the due date to the date of the return of the book. 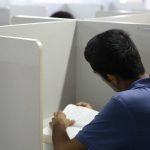 If a book is lost and not found, the student concerned would be required to pay the cost of replacing the book with an additional penalty of 25% or replace the book. 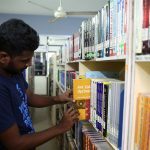 If the book is out of print or not available in the market, the replaced book should be approved by the library committee.